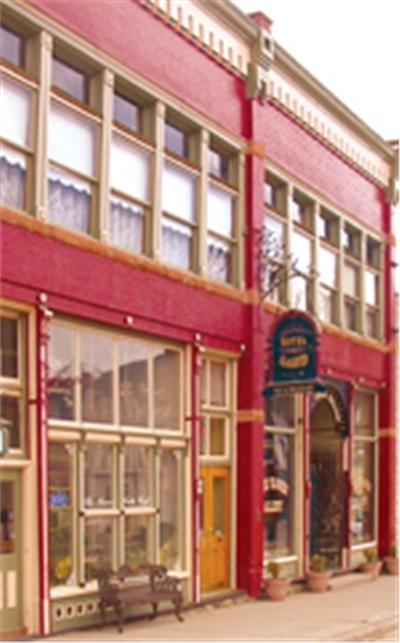 Spacious Victorian lodging in downtown Silverton. Private and European baths, mountain views, restaurant on premises offering room service for our guests, a hospitality/meeting room with cable TV, and FREE WiFi throughout. We welcome our families, groups, business traveler, wedding parties, and our train layover guests to stay with us! 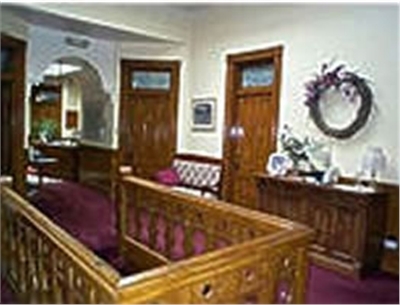 We offer concierge services as well as function planning, if needed. Come stay in Silverton, Colorado, at The Teller House Hotel situated in the high mountains of the San Juan's!Trip Advisor recently elevated The Teller House to the #2 hotel in Silverton! Room 10 features a full bed and a shared bath in the European style, with spa robes provided for guests. Like all Teller House rooms, this one has a mountain and main street view and is tastefully furnished with antiques and Victorian decor, including this wonderful wood bedframe, Tiffany lamp and lace window treatment. Room 8 features a king bed and a private bathroom, with a mountain view. This cozy room provides Victorian charm and color for our romantic travelers as well as our individual vacationer. Room 1 is a charming retreat, featuring a queen bed and shared bathroom in the European style, with spa robes provided for our guests. It overlooks Silverton's main boulevard against a breathtaking backdrop of the towering San Juans to the northwest. Like all Teller House rooms, it is tastefully furnished with antiques and Victorian decor, including a classic wood bedframe, cherub lamp, and lace window treatment. ROOM 3 features a queen bed and a private bathroom, with a mountain view, and period decor. It's cheery atmosphere invites our romantic couples as well as our individual travelers. Room 7 is a wonderfully bright and cheery room featuring two queen beds and a private bathroom. This spacious sun-filled room has stunning northeast mountain views and delightful wrought-iron beds for the antique lover in you. ROOM 6 is one of our largest and most popular rooms. The beauty of this brick-walled sanctuary features two queen beds, a small sofa bed, and a private bathroom, with spa robes provided for our guests. This room's decor is a tribute to the dramatic winters and outdoor trekking of the San Juan Mountains, as shown by the antique skis and snowshoes which adorn the wall. ROOM 2 features two queen beds and a private bathroom. It offers main street and mountain views. These ornate wood headboards and lace curtains give this room a truly classic Victorian feel that any family or group travelers will love! ROOM 9 features two queen beds, a twin pull-out sofa, and a private bathroom. It offers main street and mountain views. These ornate wood headboards and lace curtains give this rooms a truly classic Victorian feel that any family or group travelers will love! The closest airports are those in Montrose and Durango. If you come from Durango, from the Main Avenue bear right on US 550 Highway (44 mi), turn right at Greene Street, go up on the Greene Street for 0.6 miles. Cancellation	| Cancellations require 4 days notice prior to arrival. Cancellations within 4 days will be charged in full for the reservation. Check In	| Check-in is 3 p.m. Check Out	| Check-out is 10.30 a.m.
Pets	| No pets allowed. Other	| Cancellation - Cancellations require 4 days notice prior to arrival. Cancellations within 4 days will be charged in full for the reservation. Children	| We are a family-friendly hotel! Children 6 and under stay for free. We also have rollaways if needed.